Tiffany Inn Bed & Breakfast Our records show that this inn is closed. Alton bed and breakfast travel guide for romantic, historic and adventure b&b's. 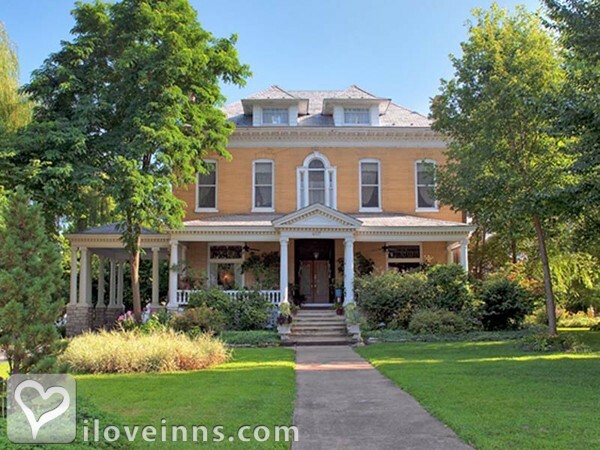 Browse through the iLoveInns.com database of Alton, Illinois bed and breakfasts and country inns to find detailed listings that include room rates, special deals and area activities. You can click on the 'check rates and availability' button to contact the innkeeper. Life is a fabric of memories woven together through time. Start making your special memories along the Mississippi River in historic Alton, IL. Breathtaking scenery, wineries, hiking and biking trails, bird and winter eagle watching, parasailing, boating, canoeing and kayaking, antique shops, specialty stores, a plethora of restaurants, nightlife, and incredible bed and breakfast inns await. Only 25 minutes from the St. Louis Gateway Arch. Why not book your special getaway today? By Beall Mansion, An Elegant B&B. Being labeled the most haunted city in the country has done wonders for Alton, Illinois. The city is known for its ghost tours. The Great Rivers National Scenic Byway, the Elijah P. Lovejoy Monument, the Franklin House, the Beall Mansion, St. Peter and Paul Roman Catholic Church, Robert Pershing Wadlow Monument, and Clark Bridge are sites of note. Aside from these landmarks, guests at Alton bed and breakfast inns can take trips to Raging Waters River Park, Big Muddy Adventures, or Wood River Aquatic Center. Another favorite activity in Alton is cruising on the Mississippi. By Beall Mansion, An Elegant B&B.